I have been sitting on this post for quite a while now. Since March to be specific. And I am not really sure why I never posted it ? Maybe it because of my crazy acne or how doofy I feel I am in videos but I figured why the heck not share my thoughts ... finally ... on these two foundations. 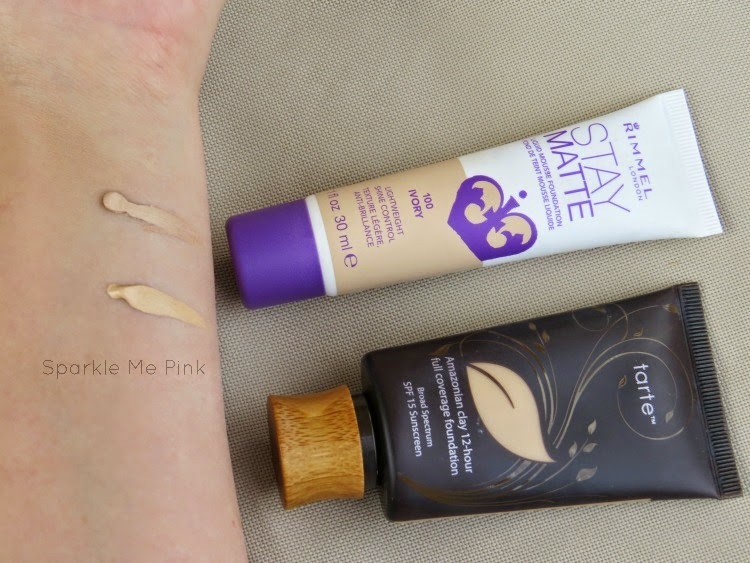 Also feel free to check out my first review of the Rimmel Stay Matte Liquid Mousse Foundation. Now I have not been using either of these foundations all summer. I feel they were a bit too thick on the skin for the scolding hot weather here in AZ. However, I do have a feeling I will gravitate back to these soon with in the cooler weather ahead. Check out the video for more details & full review of these products. Both are creamier, thicker, full coverage foundations. 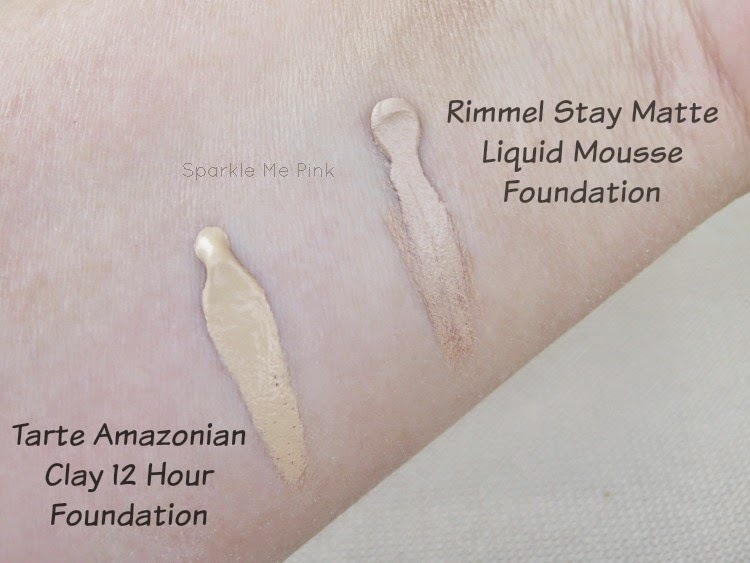 What are your thoughts on these foundations ? 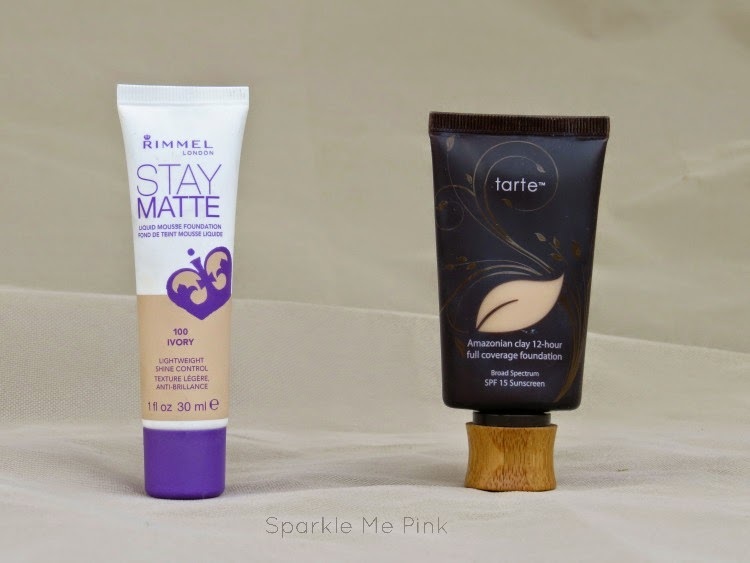 I'm definitely going to have to try out the Rimmel Stay Matte Foundation, I love that it isn't so yellow! I just hope it is light enough for me. I checked out your full review of it and it looks great! I don't know why you were sitting on this vid, it was great! I was pleasantly surprised to see how comparable the two foundations were! I'm not often in the market for a new liquid, but I've been doing the same high-end brand for about a year now. I may try out a drugstore version again after seeing this! I am absolutely loving this review! I'm happy I came across it! The Rimmel Stay Matte Mousse is AMAZING! ! I was also suprised by how creamy, lightweight and covering it is for such an unbeatable price! I agree with your observation of the Tarte foundation to be drier and almost crumbly on application. I was extremely saddened by that because I LOVE Tarte! Great review! Thanks for sharing. Thanks for this post. I cannot afford $40 for a foundation. Plus I could see a big difference in coverage in the Rimmel, it covered so much on the first layer that you put on. Thanks again. Great video!